The Bluffs on Thompson Creek provides ideal settings for wedding ceremonies, receptions, conferences, dinner parties, and private events. Palmer’s on the Bluff and The 19th Hole Bar and Grill have everything covered for formal and casual gatherings 7 days a week. * Their menu includes everything from sandwiches and signature salads to authentic gumbo and the finest steaks and fresh seafood. 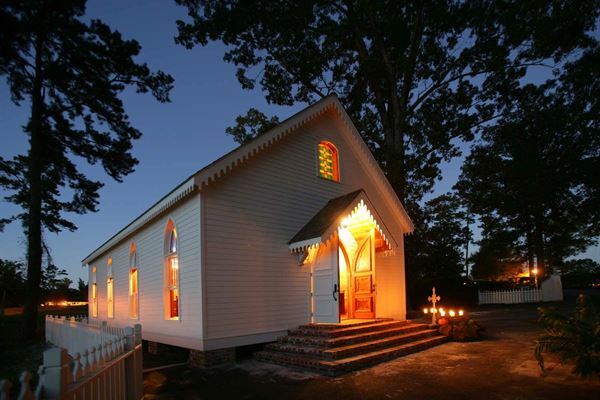 The quaint Chapel at The Bluffs is an intimate setting for ceremonies, and your conference and business needs will be met in comfort and seclusion at The Conference Center. With our range of unique and attractive facilities, welcoming settings, a knowledgeable staff, and professional service, we are able to accommodate all your personal, group, and business events.